REMSA currently holds five accreditations across all major service lines in the organization. Accreditations are the backbone of quality and safety throughout the organization and represent REMSA’s commitment to meeting national and international standards. These standards ensure the highest quality of service for our patients, students, and community. Our accreditations include our ground, air and education services as well as our communications center and the REMSA nurse health line. Commission on Accreditation of Ambulance Services (CAAS) accreditation signifies that your service has met the “gold standard” determined by the ambulance industry to be essential in a modern emergency medical services provider. These standards often exceed those established by state or local regulation. The CAAS standards are designed to increase operational efficiency and clinical quality while decreasing risk and liability to the organization. The process includes a comprehensive self-assessment and an independent external review of the EMS organization. This independent process provides verification to your Board of Directors, city council, the medical community and others that quality care is provided to the community. REMSA Communications has been recognized as an Accredited Center of Excellence (ACE) by the International Academy of Emergency Dispatch since 2001, the first in the State of Nevada. REMSA’s commitment to providing high-quality care while maximizing efficiencies and robust Quality improvement process has been recognized through the International Academy of Emergency Dispatch’s highest recognition. This accreditation is awarded to only those centers who demonstrate superior performance in training, quality assurance and improvement process, and very high compliance using the Medical Priority protocol system. Commission on Allied Health Education Programs (CAAHEP) accreditation of the REMSA Paramedic program ensures consistent quality and adherence to national education standards for all students. This accreditation ensures that students from the REMSA program are eligible to sit for the national paramedic exam and requires a high level of reporting and tracking to ensure student success. Accreditation in the health-related disciplines serves a very important public interest. Along with certification and licensure, accreditation is a tool intended to help assure a well-prepared and qualified workforce providing healthcare services. The Commission on Accreditation of Medical Transport Systems (CAMTS) is dedicated to improving the quality of patient care and safety of the transport environment for services providing rotor wing, fixed wing and ground transport systems. CAMTS accreditation standards are the criteria used to measure our level of quality. 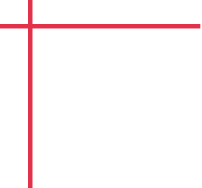 To obtain accreditation, our service has demonstrated substantial compliance with specific criteria in areas including communications, helipads, infection control, legal and ethical practices, qualified maintenance, risk analysis, operations, safety management systems, fatigue management, training and education, and qualified staff including pilots and medical providers. 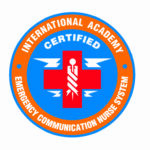 Accredited Center of Excellence is an award earned through the International Academy of Emergency Dispatch for centers who demonstrate excellence in the Emergency Communication Nurse System. 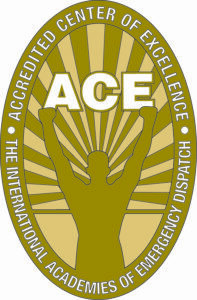 ACE Accreditation is an international stamp of quality for the Nurse Health Line. It gives confidence to the community that our service provides standardized protocol driven assessment for callers and provides care resources within our community to access for non-emergent healthcare needs. REMSA is proud to be the first dually accredited ACE communications center and nurse health line in the world. All accreditation logos are used in accordance with the guidelines and policies defined by the accrediting body. REMSA represents that it is in good standing and currently accredited by the organizations listed above.